Our two road games had two things in common: 1) they were losses; and 2) PRO wrote blog posts afterwards explaining why our opponent’s game-winning penalties should not have been awarded. So chalk us up for two points in the “moral victories” standings (or should that be moral draws?). At the end of the season, the team with the most points in that particular table win a 200 pound pile of deicing salt. On to this weekend. We have the first of this year’s Cascadia Cup matches against the stinkin’ Sounders. It won’t be easy for the Whitecaps to carve out their first points of the season. The Sounders (ugh) have scored a league-leading 10 goals in their 3 wins*. The Whitecaps defending has been suspect though today we all got word that loanee left back Ali Adnan has finally joined the team. Will he be in the lineup given how short a time he’ll have had to adjust to his new teammates? Whatever the lineup, we need the Whitecaps to come out firing and keep the Sounders on the back foot. Let’s do our part in the stands. 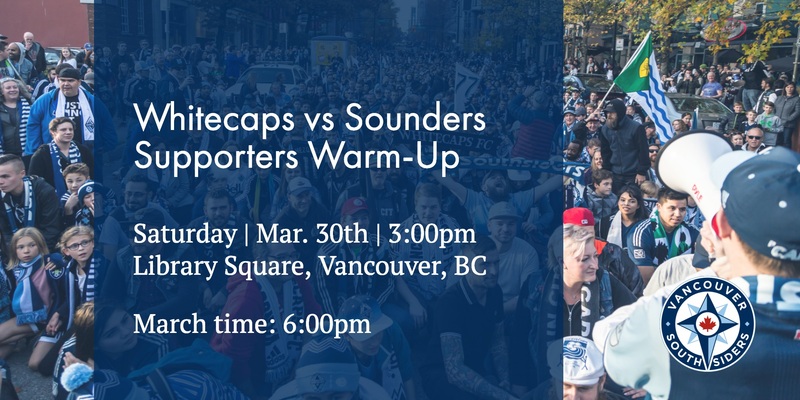 Follow your capos and support our Whitecaps for the full 90 minutes. 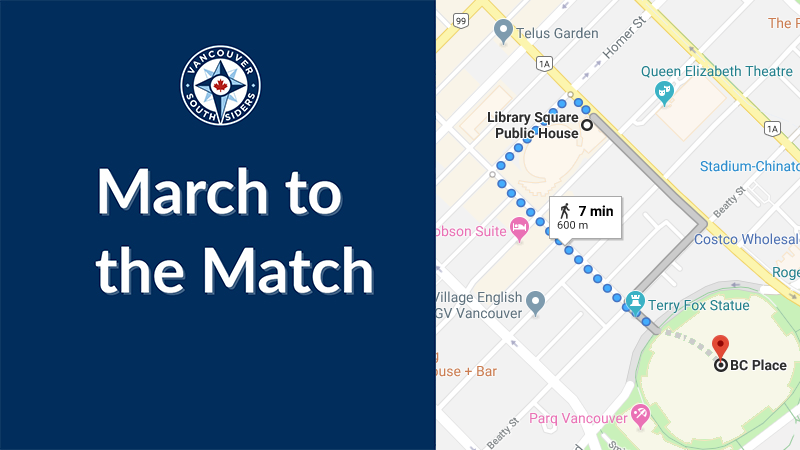 Library Square Public House, 300 W Georgia St – all ages on Whitecaps game days!